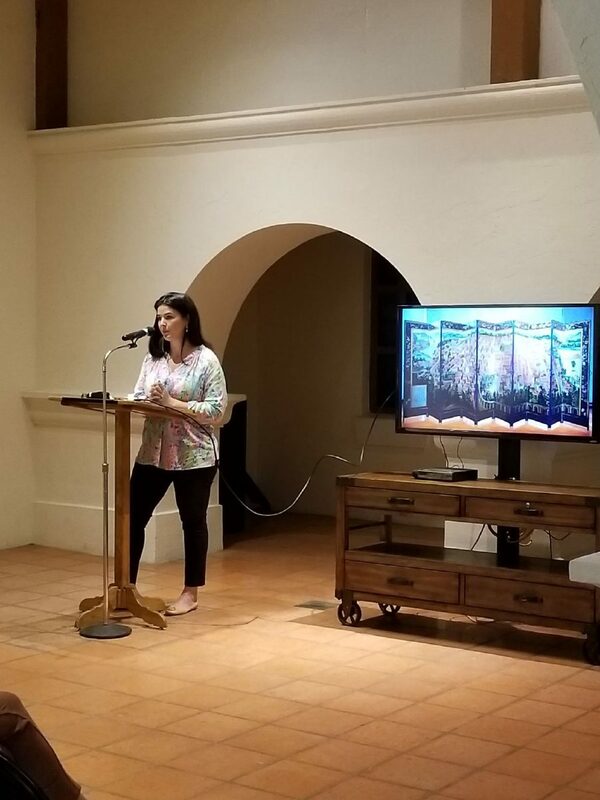 Dr. Katherine McAllen, a Harvard alumna, concluded the series with her presentation titled “Luxuries of Trade: Folding Screens in Colonial Latin America,” at the International Museum of Art & Science. McALLEN — From divergent angles around a gown crafted purely of salt, five individuals dressed in black crawled to the center, swooping the mineral with their palms into a single mound. This piece created by artist Giannina Coppiano Dwin titled “Like the Ocean” was part of FOLD — a collection of contemporary work inspired by a book written by philosopher Gilles Deleuze — at the International Museum of Art & Science. Multimedia installation artist Raheleh Filsoofi curated the gallery by inviting 13 female artists to contribute a piece of their work relating to the concept. Several of the pieces were created specifically for FOLD. Throughout the course of the 10-week exhibition, seven art scholars lectured at the museum and during panel discussions for FESTIBA — an annual arts and cultural festival at UTRGV — exploring concepts relating to humanities, as well as the social and physical sciences. Dr. Katherine McAllen, a Harvard alumna, concluded the series with her presentation titled “Luxuries of Trade: Folding Screens in Colonial Latin America,” which evaluated the technique of painting biombos, folding screens, and discussed the importation of Asian luxury goods to Mexico City. Some of the concepts are discussed in her classes, McAllen said, and studied in further detail in semesters spent studying abroad; some in attendance were current and former pupils. After the address, visitors shared a walk from the foyer to the gallery to hear her final thoughts on the artwork and witness the dismantling of the centerpiece, which was crafted from more than 10 pounds of salt. Other featured artists included Dwin, Sibel Kocabaşi, Misoo Filan and Gulia Huber. University of Texas Rio Grande Valley students and staff, Filsoofi said, contributed to the success by volunteering to help with installation, documentation and promotion.